It’s time to say goodbye to one automaker’s historic model. Hyundai confirmed again this week that the first vehicle it introduced to the Indian market has been retired. 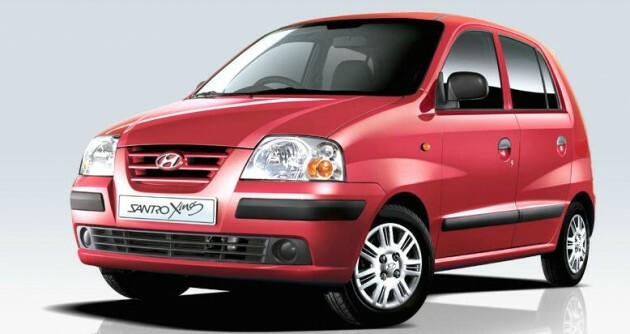 Sixteen years ago, a small but enthusiastic subcompact city car named the Hyundai Santro took India by storm. Now, after helping the brand establish itself and transform the country into Asia’s second-largest auto market, both consumers and Hyundai have decided it’s time for a change. The decision to take the Santro (also called the Santro Xing or the Atoz in Korea) off the Indian market was first reported in October by the Economic Times. Hyundai had announced its plans to cease production in favor of more profitable, top-selling models like the Elite i20 and i20 Active. By December, production of the Santro had stopped and by January no new models were entering the market. Now, the Santro is no longer available. There’s much nostalgia associated with the Santro. After it was introduced in 1998, its power steering variant revolutionized its segment and the industry in India. Eventually, after getting Hyundai established in a then-untapped market, the Santro became outdone by progressively stronger and better models. For a time, it was even exported to the Middle East, Africa, and Europe. Even when sales declined, it still stood as the flagbearer for the brand. Hyundai still has plenty of compact vehicles on the market that are more appealing to today’s consumers, including the Eon, Grand i10, and i20s. Now that Hyundai has more production capacity for these hot new models to fill the void in the market, we wonder if any of them will fill the void in our hearts.